Urban Tilth » Farm to Table CSA launches – Sept 13, 2016! Farm to Table CSA launches – Sept 13, 2016! Urban Tilth is launching our Farm to Table CSA! Starting Tuesday September 13th, 2016 you will be able to pick up a full bag / box (approx. 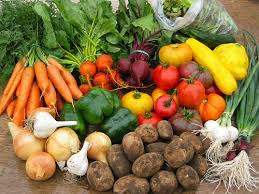 10-lbs) per week of seasonal produce grown in Richmond or west Contra Costa County. All produce will be pesticide, herbicide and chemical fertilizer FREE and grown by community members with love. Join this movement to localize our food, shorten supply chains, reduce greenhouse gases, employ local people and connect our community to healthy whole foods by signing up for your membership TODAY! If you join at the Pay-it-Forward membership level of $25 per box, part of your membership fee will be a tax deductible donation making it possible for a lower income family to join the CSA and provide the fresh healthy food necessary for their family to thrive. If you are a low income family there will be a limited number of low income subsidized Food for ALL memberships available for $10 per box. Everyone deserves access to fresh healthy food! so sign up soon and enjoy the delicious bounty with us! Heirloom tomatoes, cherry tomatoes, lemon cucumber, potatoes, green beans, leeks, collard greens, chard, lacinato kale, curly green kale, Mesclun Salad mix, zucchini, mixed medley squashes, basil and more! ** You will also be able to add seasonal added value products such as cut flowers, jams, honey and herbal soaps to your weekly order at pick up. For more information or to SIGN UP for one of our memberships CLICK HERE.Thank you for supporting local food and local farmers! Hear about news and events. Farm to Table CSA launches - Sept 13, 2016!